On April 26, 1986 a series of calamitous coincidences pushed a reactor at the Chernobyl nuclear power planet in Soviet Ukraine into an enormous meltdown that vented plumes of radiation into the Earth's atmosphere, permanently evacuating the town of Pripyat, poisoning large swaths of Ukraine, and sending currents of poisoned air into Europe. 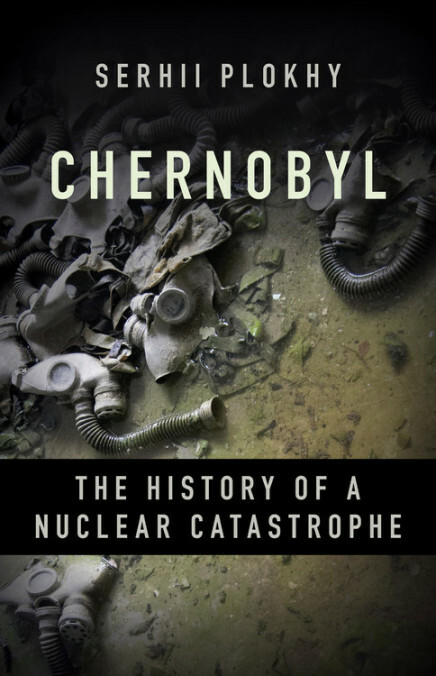 It was the worst nuclear power plant disaster in history, and it's the subject of Harvard University history professor Serhii Plokhy's important and immensely readable new book Chernobyl: The History of a Nuclear Catastrophe. Chernobyl as history is the story of a technological disaster that helped bring down not only the Soviet nuclear industry but the Soviet system as a whole. The accident marked the beginning of the end of the Soviet Union: a little more than five years later, the world superpower would fall apart, doomed not only by the albatross of its communist ideology but also by its dysfunctional managerial and economic systems. The book is very effectively dramatic, capturing the the wide cast of characters, from Mikhail Gorbachev to a host of mid-level bureaucrats who just instinctively tried, in the wake of the disaster, to control and suppress the flow of information – an old, ingrained Soviet habit that in this case had far more widespread international implications. And the lessons of Chernobyl – about the dangers of bureaucracy, among other things, particularly when dealing with something as potentially deadly as nuclear energy – obviously aren't confined to the past; 21st century readers will be thinking about the 2011 meltdown at the Fukushima reactor the whole time they're reading about Chernobyl. Accidents happen, humans can be neglectful, and the planet's weather is growing more violent and less predictable, with hundreds of nuclear reactors around the globe sitting vulnerable to all those things. Thanks to Plokhy's new history, we now know as much about the Chernobyl disaster as we're ever likely to – how we use that information is outside the historian's purview, although some courses are obvious.